If you have been buying disposable razor after razor, you may be fed up with spending so much money on something you have to get rid of after only a few shaves. 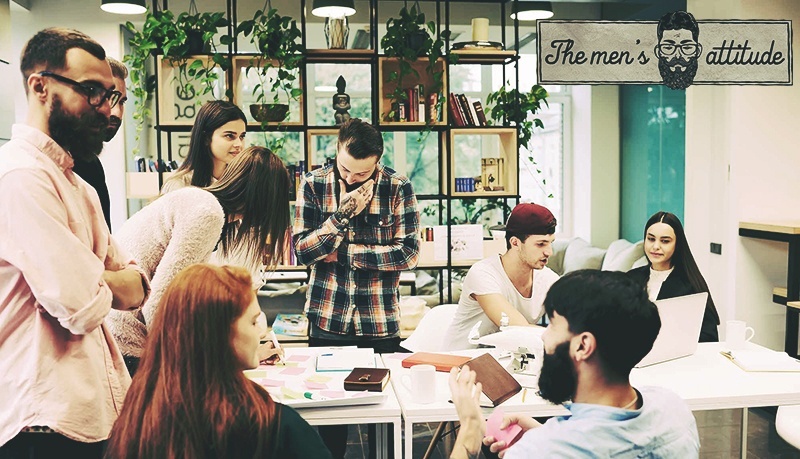 The good news is that there is something for you that will not only save you money, but that will also provide you with a much better and smoother shave. This type of ﻿﻿﻿razor ﻿﻿﻿is known as the safety razor. 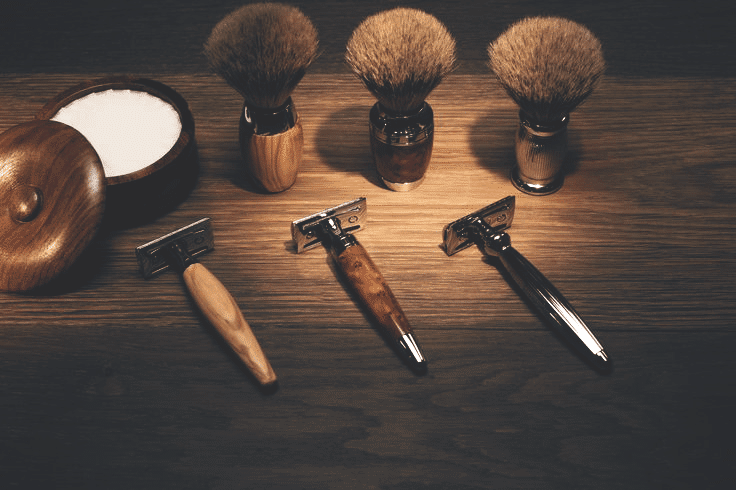 What are the advantages of using a safety razor? 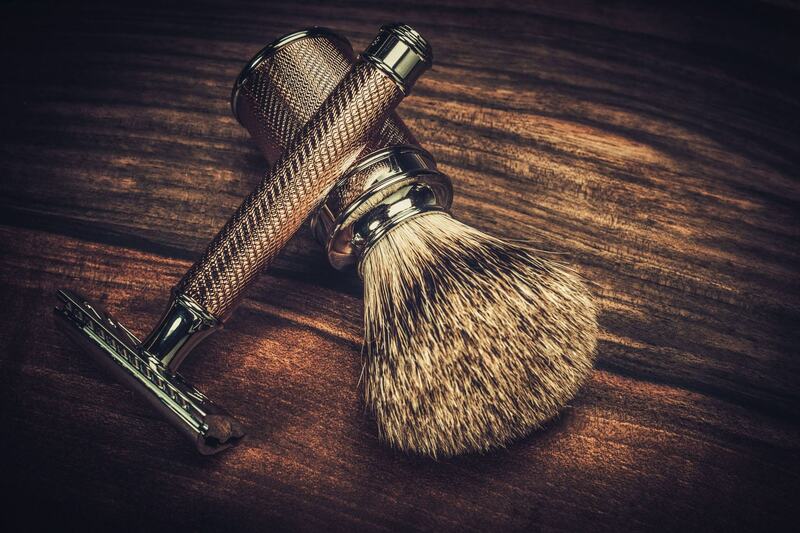 What features to look for in a safety razor? ​Since you probably aren’t the type of person to go out and buy something simply because someone tells you to, we have compiled the benefits and advantages from using a safety razor that you can expect. ​A safety razor provides you with a ﻿﻿close ﻿﻿shave. A close shave is important in the world of men and shaving. Here’s why: It helps you to get more hairs and a smoother and softer shave as it also helps you to avoid ingrown hairs. ​It feels manly. While this is not necessarily something that everyone is going for, knowing that you are shaving the way that your ancestors did could be just a little bit pride-inducing. Just a little bit, right? It’s more affordable. A safety razor lasts longer than a disposable one which means that you pay a low price for a safety razor and replacing the blade costs next to nothing while replacing a disposable razor can cost you up to $3.00-$5.00 or even more. ​It is better for the environment. Because a safety razor just needs the blade to be replaced and not the entire razor, there is less plastic waste which is ultimately better for the environment, which is better for us. ​Your face won’t be irritated or bumpy. Using razors that have multiple blades can be rough on the skin and it shows. Men with bumps or irritation from shaving may feel self-conscious about their face. The shave from a safety razor is much smoother and leaves men with soft skin which is always more attractive; and, your significant other will thank you for it. ​It takes more time, but that time turns into a “Godly” ritual. While yes, a safety razor shave may take more time, many men enjoy the quiet moments during shaving and the focus required helps them to forget everything else. For many men, the time for them shaving becomes a sacred ritual where no one else is allowed to enter. Now that you understand how glorious shaving with a safety razor can be, you may wonder what to look for so that you can find the perfect safety razor that will change your life. It isn’t rocket science, but there are some things to consider before buying. ​You may not realize it at first glance, but s﻿ize ﻿﻿does matter when it comes to your razor’s handle. If you have larger hands, a small handle won’t feel right and you may not have the best grip on your razor as you should. Also, it can be uncomfortable to hold the razor if the handle is too large or too small. Make sure it’s the right size for you. ​There are various blades available for safety razors. Some are sharper and thicker while others are thinner and less sharp. If you are a beginner, learning how to shave with a blade with mild sharpness is a good idea, as it might take you some time to be comfortable using a safety razor. Something else to consider is if you want a double edge safety razor or single edge. A double edge typically promises a quicker shave, but for the most part is usually a matter of preference. ​When it comes to the material of your handle, it doesn’t matter so much if its metal or wood or some other fancy material, as long as it provides you with a good grip and doesn’t get ruined easily. After all, you want the handle of the razor to last as long as possible. ​You definitely want quality when shopping for a safety razor. One of the reasons why you are purchasing a safety razor is to avoid having to buy a new one continually. ​If you want to be able to change the direction of your shave, you will want to look for an adjustable razor head. This will allow you to play around with the shave that works best for you. You will need to be careful that it is completely locked and stable after adjusting. If this doesn’t work for you, there are stable razor heads to choose from. As long as you consider these features before buying, you should be well on your way to finding the right safety razor that will provide you with an amazing shave that will have men complimenting you and women adoring you. ​​It is a high-quality razor. ​​It has a special protective system. ​It provides an effective shave. ​​The razor may be heavy for some. ​The handle may feel too large for some. 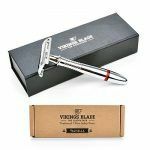 ​The VIKINGS BLADE brand is well-known for their grooming products and the Godfather safety razor is a good example of a top-quality razor. It has a traditional razor head and has a special microcomb system which may help men get a safer shave without cutting themselves. It comes with stainless steel blades and has a metal handle with a rough texture for a solid grip which helps to ensure that you won’t slip while shaving—no one wants that. It has a double edge blade which may be an attractive feature for some. ​​​It is an affordable razor. ​​​It is slim and lightweight. ​It provides a close shave. ​​It is an attractive razor. ​​​The razor head needs to be locked in place before use. ​​The blades aren’t sharp enough for some people’s preferences. 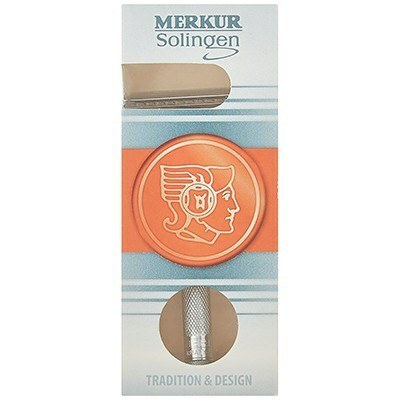 ​The Merkur is an attractive safety razor for people with larger hands as it comes with a long handle that allows it to fit nicely for a comfortable shave. The chrome finish makes the safety razor look fancy and top quality while the rough textured handle allows for a tight grip. The slim handle also makes it great for lightweight use which is ideal for anyone who doesn’t like shaving with heavy razors. The fair price is an attractive factor, especially for people who are tired of spending a hefty dollar on disposable razors. ​​​​It is an attractive razor. ​It has a perfectly balanced weight. ​It allows for a tight grip. ​​​​The bamboo handle doesn’t have a protective finish. ​​​​​It provides an aggressive shave which may be difficult for beginners. ​It may not be as durable as metal safety razors. 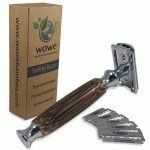 ​For the environmentally-conscious person, this safety razor by WowE is an ideal option. The natural bamboo handle not only looks good but it feels good as well and the razor uses double edge blades which is an attractive feature for men who are short on time for shaving. Apart from the natural bamboo handle being aesthetically pleasing, it also provides a great balanced hold for a safe shaving experience. ​It has a long handle for larger hands. 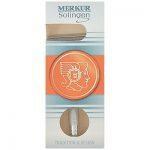 ​The rough texture handle allows for a tight grip for shaving. ​​​​​The blade space is a bit too small for a quick shave. ​​​​​It doesn’t provide as close a shave as some others do. ​The WEISHI is a simple yet highly functional razor that is one of the most affordable safety razors on the market. As low-priced as it is, the quality is not compromised and with the double edge blade, it provides a quick yet reliable shave. 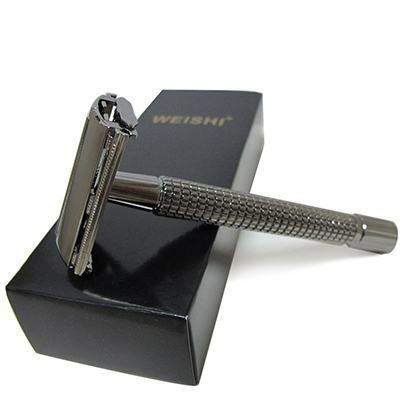 This WEISHI safety razor has a long handle which is nice feature for those with larger hands. The blades that are included offer plenty of sharpness which is ideal for those who have been shaving for a while and want to get that perfect close shave. ​​​​​​It has a good, balanced weight. ​It’s butterfly head allows for quick blade changes. ​It is made from quality, heavy-duty materials. ​​​​​​The handle may be too short for some. ​​​​​​It doesn’t provide an aggressive shave. ​The Chieftain is another attractive VIKINGS BLADE razor on the market that is as aesthetically pleasing as it is functional. The advanced butterfly head allows for easy blade change which is beneficial for men who want to avoid hassle in their shaving time. It has a solid construction that helps to provide a balanced shave and the handle’s texture helps users maintain a tight grasp during shaving. It also has a microcomb system that helps to keep users’ safe from accidentally cutting themselves. 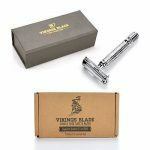 ​Every razor on our list could make a great addition to your grooming kit, but if we had to choose a winner, it would have to be the VIKINGS BLADE The Godfather Safety Razor. It offers men a close shave while also providing them with a safe and drama-free one. It also includes some of our favorite features in a quality razor. From the double-edge blade to the strong stainless steel handle, it is a durable and reliable safety razor. For these reasons and more, it is the best safety razor around.